Get ranked on the only page that matters! Most of us who played sport at school will remember that dreaded moment of lining up against the wall to be picked by team captains. That deep, gut-wrenching feeling of being one of the last players for selection. ‘Please pick me, please pick me’ repeating over and over in your head, desperately trying to make eye contact with the captains, as they review the remaining candidates. Only four players left… ‘please pick me please pick me’. The cheers from each team rapidly dwindle as the skilled players are cherry-picked, like the best chocolates from a Quality Street tin. Just the toffee ones and a couple of orange cremes left. Am I really a toffee penny?! I scored a cracking goal yesterday lunch time. And then there it is. You’re officially the last to get chosen. The world has ended; your playground football career hits an all-time low and you drag your feet over to your team to face the inevitability of being in goal. You’re wondering what this has to do with SEO (Search Engine Optimisation), right? I bet you’re thinking that the reason you can’t even find your own company in a Google search is to do with skill, size and how long you have been trading? Wrong. SEO is an essential part of your digital marketing strategy, and is as much about business development as it is about search engines. Big or small, vintage clothes shop or travel agency, all businesses need to understand how customers use search engines in order to generate traffic, gain exposure and make sales. Who doesn’t want to do that? You’ve invested a lot of time and money into making your business great. You may have the ‘perfect’ website, but if it’s too hard to find, too slow or too difficult to use, this becomes meaningless. It’s time to get your savvy thinking hat on and set up an SEO infrastructure. SEO is about increasing organic searches, generating more traffic to your website and raising your page ranking in search engines like Google and Bing. In simple terms, it allows customers to find your web content through search queries. It’s cost-effective, especially for small businesses, as a good SEO infrastructure can help attract new customers, generate traffic and increase brand awareness. Now you’re intrigued. Seed’s web team believe that the core of a successful SEO strategy involves a basic marketing approach: what you sell, who you sell it to and what language to use. This enables you to communicate effectively with your customers. You click with them and they’ll click on your website. To understand SEO, you need to know a little bit about how Google works. Whilst many people believe that Google ranks websites, it actually ranks web pages. The more useful the content and the more enjoyable the user experience, the higher the page ranking. Simple. Think of your website as a John Lewis catalogue. You need a new fridge-freezer, so you go straight to the home appliance section. Easy. When developing your website think, what, where and how? What are your customers looking for? Where can they find it? How will they find it? Reading about John Lewis’s ‘brand journey’ isn’t going to help you much when your fish fingers are rapidly thawing and there’s a pool of Ben & Jerry’s on the floor. Keep your site architecture (how you structure and organise your content) clean and simple. Just like a catalogue, subsections help customers easily find the information they need. Navigation shows them exactly where to go, by providing relevant labels for each choice, such as ‘home and garden’. Your content may be organised logically, but it must also be visually appealing. Designing your site enables you to choose where keywords and phrases appear and how they look. For example, if you wanted the words ‘burger’, ‘restaurant’ and ‘Glasgow’ on your homepage, you would use HTML, a type of language built into some web pages. Writing a big, bold ‘Welcome to the people’s favourite burger restaurant in Glasgow’, using CSS, would be a good place to start. However, it’s not just about putting content in the right places and making it look good, it also needs to be reliable and relevant to the search query. Get this right and your customers will always find what they’re looking for. If you want to get on Google’s good side, it must understand what your web page is about. Using keywords – words that customers associate with your business and industry – can help with this. What keywords are being used to find and describe your business? There are various tools, such as Ubersuggest’s free keyword tool, which can help you find your keywords. When a customer types a query into a search engine, they have an intention. They want answers and they will use keywords to find them. Once you know your keywords, you can tailor, organise and label content in a way that makes sense to your customers. For instance, a customer may type ‘local gardener Leicester’ into a search engine. Here, ‘gardener’ and ‘Leicester’ are vital keywords that should be used in any Leicester-based gardener’s page title. The page title appears on the search engine result pages (SERPS) and is the bit that customers click on to access your website. It should give a brief but reliable description of what the page is about. The meta description sits just below this and provides a little more detail about the page content. Another opportunity to utilise your keywords. Together, these will ultimately get customers clicking on your website instead of a competitor’s. Whilst it is important to make good use of your keywords, haphazardly peppering your website with them could turn an engaging piece of copy into an irritating puddle of words. Worse for you, this is bad SEO practice that Google hates! Whilst you may be a dab hand at using your website, it may not be the same case for your customers. UX testing (User Experience testing) gives you an insight into how customers are interacting with the design and functionality of your site. These things shape their perception of your brand and can often make or break their decision to give you a call. After all, we all know that first impressions count. It’s all about convenience and ease. Ensure that your website is mobile-friendly, professional and, crucially, easy to use. You may find that your website is not as user-friendly as you thought: customers might be struggling to navigate to sections that should be a quick click away, or links might not be working as they should. This will only send your customers one way: straight to the ‘back’ button! It will also encourage them to take a snoop at your competitors’ websites. What’s stopping them? 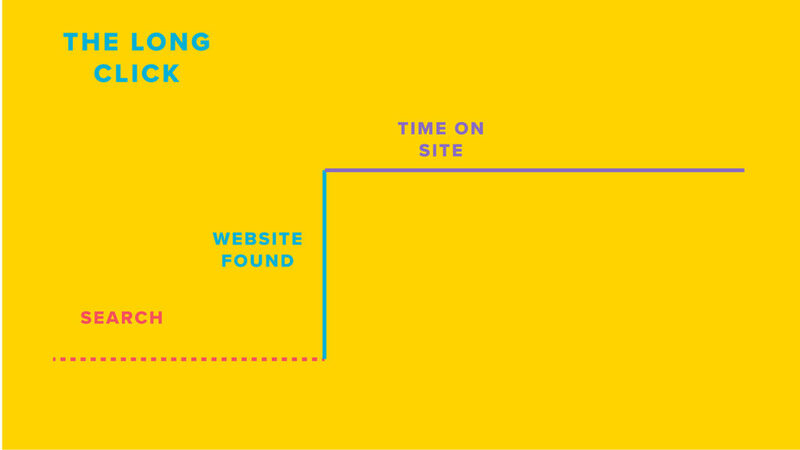 When a customer clicks onto your website, you are ultimately aiming to achieve the ‘long click’. This is when a customer stays on your website for a long time, rather than bouncing straight off from the home page. Your customers are human so treat them that way. Long, complex words, that no one actually understands, might make you sound more profound as you spout your dinner party anecdotes, but they only complicate things when it comes to developing your page content. Think about the readability of your content, and get straight to the point. This is becoming evermore important, thanks to the increasing popularity of voice search. Customers are no longer just typing queries into search engines, they are also asking them out loud. Since voice search queries are typically longer, this affects the language used. Customers now want direct answers: this means that content needs to be structured as it would be spoken, in natural language. Backlinks link to your web page from another site, often in the form of text or an image. They are extremely valuable as an external link, showing customers that others believe your content is worth looking at. Old SEO practice involved getting as many backlinks as possible, from whatever sites available. Google soon got wise to how links were being manipulated, and introduced penalties for ‘unnatural linking practices’. Now, linking strategy is all about quality rather than quantity: getting links from reputable and credible sites, rather than directories and article sites that exist only for SEO purposes. One great link beats a thousand poor ones. For local businesses, local search is everything, especially now we’re become increasingly reliant on our smartphones when out and about. When you’re in a new place, and in need of that all-important caffeine fix, you might type something along the lines of “cafe near me” into a search engine. You’ll then see a list of the best cafes relevant to your current location. This is where NAP comes in. NAP, in SEO terms, stands for Name, Address and Phone number. Consistency is key. You need to ensure that your contact information is up to date and is in the same format across all sites that mention your business. If you have moved location, state it! Multiple addresses and contact numbers get confusing and – guess what – Google doesn’t like it! So, don’t get caught out, or your page ranking will plummet – as will the number of customers walking through your door! We’ve all come across WordPress posts with 50 or more tags. Many bloggers are under the impression that this is good SEO practice, but in reality all of these tags only create lots of archive pages with overlapping content. Google sees these pages as having no unique content and therefore considers them low quality. Consequently, they get a very low ranking! 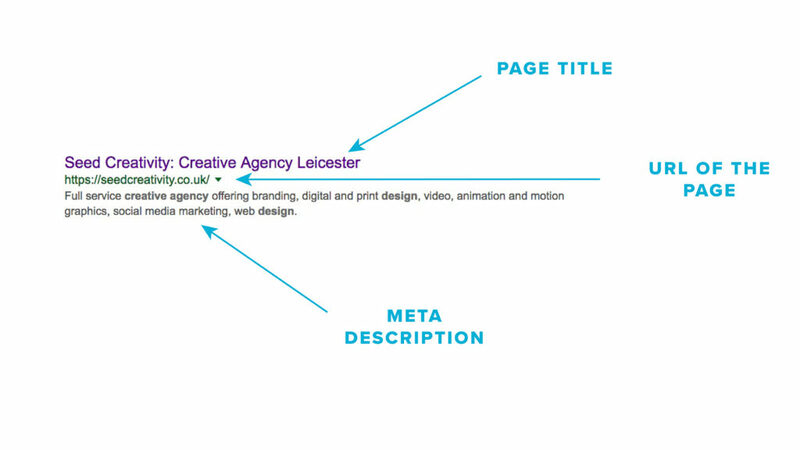 Whilst tags can be useful for finding specific information, more tags does not necessarily mean more visibility! Stick to tags that are necessary and relevant. A blog will only be considered useful if it gives customers new information or a different, unique perspective, rather than duplicates of other posts with the same tags. Treating web pages as if they are social media is a huge no-no. Whilst there are some similarities, the two are very different. Hashtagging on websites really doesn’t work. Social media can be incredibly useful for encouraging customers to share your content, and for keeping them updated on recent news. Utilise it, but treat it as separate from your website or web page. You could incorporate current social media icons into your website: display these clearly and, where necessary, ensure that the links work and open in a new tab so that customers can get back to your page. More importantly, don’t be fooled into thinking that you have to be on all social media platforms to improve your ranking! Twitter and Facebook may work well for some businesses, while Instagram and YouTube might be better for others. Choose the right platform for your business. It’s better to stick to what you’re good at, rather than making pointless YouTube videos that no one wants to watch. 9. Blog or no blog? Whether you do or don’t have a blog is not the question you should be asking. Many businesses are falsely led to believe that a blog is essential for good SEO. Google is not concerned with the form in which your content is displayed, but rather how trustworthy, informative and useful it is. Our associate David, an SEO consultant, believes that you should only have a blog if you feel it is “the best way to display content relevant to your customers’ search queries”. Having a blog for the sake of it and just regurgitating news articles will only decrease your ranking as customers will find it harder to find the information they really want. There are many businesses that have successful SEO strategies without blogs, and instead have detailed product pages, articles, guides or Q&A sections. Whatever format you choose, keep your customers at the heart of your decision. No one likes a bad host. We all get frustrated when battling against a slow website. Web hosting is the service that puts your website or web page on the internet. Underestimating the importance of reliable and fast hosting is a major SEO downfall. If you’re going to implement an SEO strategy, it’s worth splashing out on better hosting. A faster site means a quicker page speed and this means a higher ranking. Choose the best service provider for you, as it will hugely impact your website’s user experience. …Want to find out more? Hopefully this article has given you a better understanding of SEO. Using their specialist knowledge, Seed’s team of designers can help you to create and develop a website that is easy to use, welcoming and crucially, will make your customers eager to explore further. Seed deliver a variety of training courses, including SEO workshops that can help bring you up to speed with current practice, and get you ahead of your competitors. If you want to know how Seed can support you with your SEO please get in touch and book a consultation.